No lunkers today but a lot of bass, pickerel and perch. 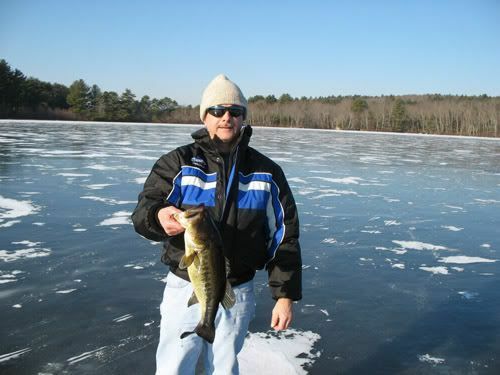 The bass ranged from 1 lb to 3 1/2 lbs, the pickerel ran small and the perch were big. A friend and i probably caught close to 30 fish today, sure beats working! Nice fish and pictures! Glad to see you had a good day out fishing. 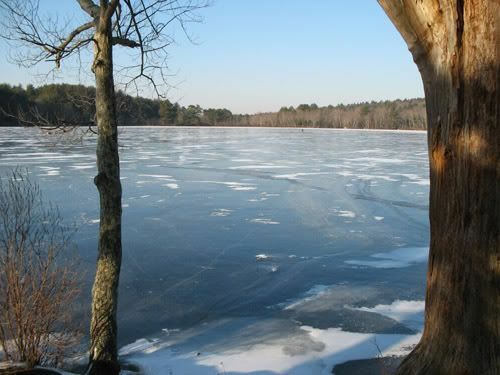 The ice looks to be 4 - 5 inches and it didn't look to be that cold. Was it? 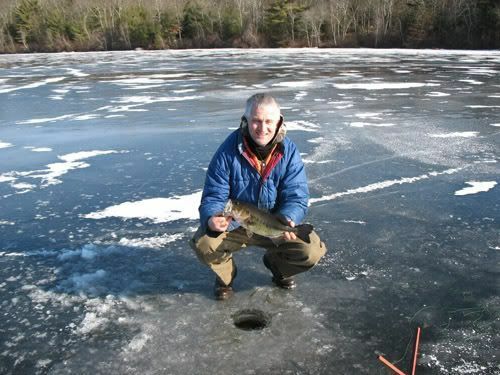 Bob, the ice was actually 6 - 7 inches! It was a little chilly mid day when the wind picked up but not too bad at all! .....and you're right. It beats the heck out of working!